When you’re ready for a new Toyota, you have two main options. You can buy or lease a vehicle. More and more consumers are choosing the lease option because it does have many benefits that you won’t get when you buy but it’s not right for everyone. Therefore, the first step is to determine if leasing is right for you. There are many factors to consider and your Toyota dealer can go over the pros and cons with you to help you make a good informed decision before signing any contracts. In the meantime, knowing some of the reasons why leasing a vehicle is growing in popularity will give you an idea of whether or not it’s something you should consider. The first thing that most people think of when you talk about leasing a car is that you get to switch vehicles at the end of your lease agreement. This is an excellent reason to lease for someone who enjoys driving the latest model cars or who simply likes change but there are several other great reasons to lease your next Toyota. Since your payments are usually lower than buying, you can choose a more expensive model when leasing. The vehicle will be covered by a factory warranty, so you know you’re covered if you run into problems. The dealership provides scheduled maintenance checks to look for potential problems and to keep the vehicle in tip-top shape. Dealerships offer some very good incentives and great deals when you lease that you won’t get when you buy. You never have to worry about selling your vehicle or trading it in when you’re ready for a new one. Dealerships offer both short and long-term lease agreements so you can choose the one that suits your needs the best. You get to take advantage of all the latest technology and safety features. Since your payments are calculated based on the length of your lease, you’re only paying for the time you’re using the vehicle and the miles you put on it, not the full value of the car. If you’re not sure which vehicle is right for you, this gives you the freedom to drive different ones until you find the one you like best. It’s less stressful because you don’t have to commit long-term. If these sound like good reasons to lease a vehicle, then this may be the best option for you. 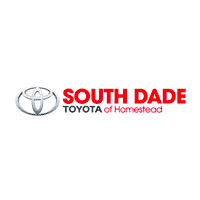 We have a great selection here at South Dade Toyota for you to choose from when you’re ready to start car shopping. Leasing a car does have a lot of benefits but that doesn’t mean that it’s the best option for you. Some things to consider include how often and how far you drive and whether or not anyone else will be driving the vehicle. If you enjoy owning a vehicle, then buying may be a better option because you will have to return the leased vehicle at the end of the agreement, unless you have the option to buy at this time. Your credit score is another thing to consider. The better your credit, the better deals you can find. Therefore, if you need to work on building up your credit score, you may want to wait awhile before leasing. Otherwise, head out to your Miami dealership today!